Have you been wondering what's in store for Art Deco in 2016? 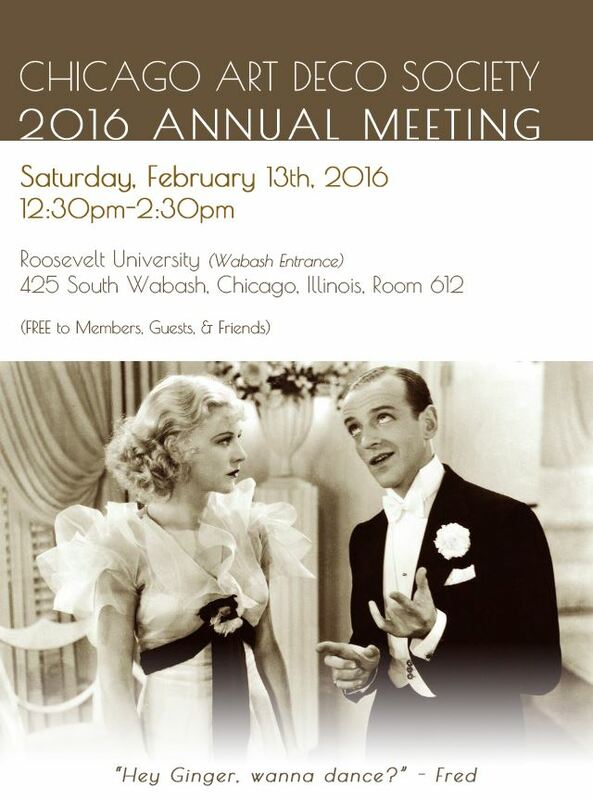 The Chicago Art Deco Society invites you to join our Annual Meeting where we'll review our 2015 accomplishments and preview programs and events for 2016. You'll also have a chance to meet our new Board Members, new CADS Magazine Editor, as well as screen the Ginger Rogers and Fred Astaire classic "The Gay Divorcee"!! !